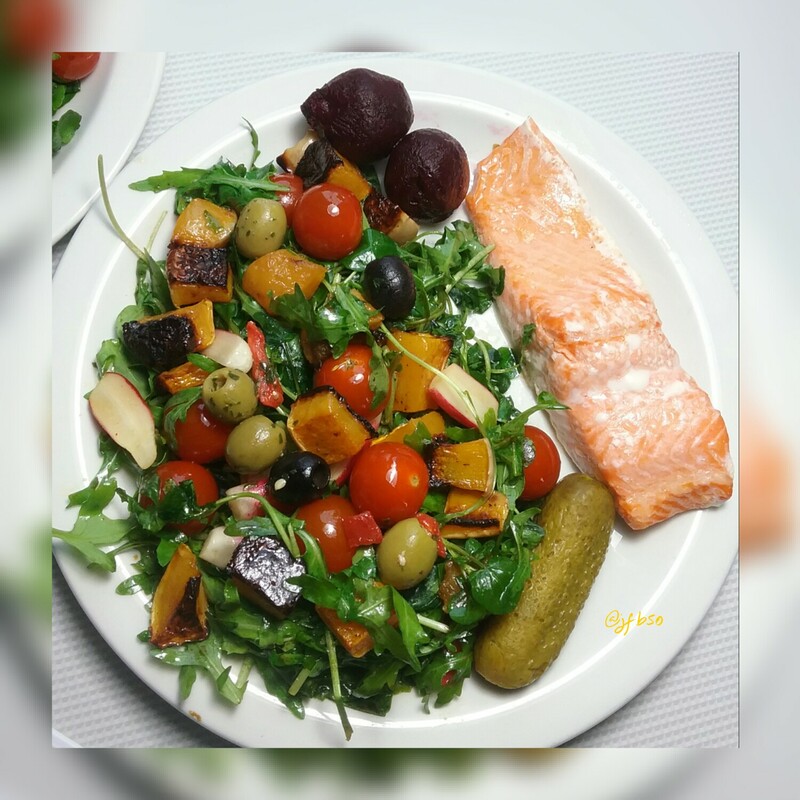 Baked Loch Trout with mixed salad, beetroot and a pickled cucumber | Jo's food bites. Salad: roasted butternut squash, tomatoes, radishes, mixed olives, watercress and rocket mixed with a drizzle of apple cider vinegar, tamari and extra virginity olive oil with beetroot and a pickled cucumber. Trout portion baked with a squeeze of lemon.